During law school Ms. Spivak clerked for the Honorable Suzanne Barnett at King County Superior Court in Seattle. After graduating from law school, Ms. Spivak continued her judicial clerkship with the Honorable Kenneth Cowsert at Snohomish County Superior Court in Everett. Since 2001 Ms. Spivak has been handling cases in the areas of maritime personal injury defense, commercial disputes, bankruptcy and debt collection, insurance coverage and employment litigation. 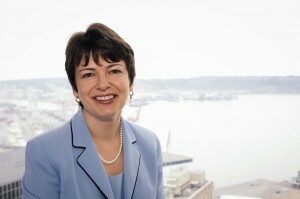 Ms. Spivak joined the Seattle office of Holmes Weddle & Barcott in 2010. Her primary areas of practice include maritime and employment litigation, as well as general civil litigation. Ms. Spivak has also presented on the following topics Atlantic Sounding: Punitive Damages in Maritime Personal Injury Cases, Puget Sound Maritime Claims Association, October 2009 and Handling Employment Claims in Maritime Industry, Marine Insurance Association of Seattle, April 2004. Ms. Spivak is a member of Washington State Bar Association, Oregon State Bar Association, Alaska State Bar Association and the Supreme Court of the United States. Ms. Spivak is also a Court Certified Interpreter in Russian language and is frequently called to assist in various legal proceedings.